Real cider is a long established traditional drink, but most of the cold fizzy products we are used to seeing are far from the real thing. Real cider is produced naturally from apples and is neither carbonated or pasteurised, while real perry is made from pears. Many of the well-known ciders sold in the UK are not produced naturally from apples but have been produced artificially using syrup. 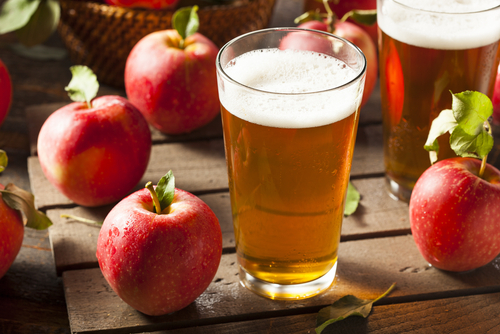 The popularity of real cider is rising as more people discover how deliciously mellow and aromatic the flavours of naturally-produced cider can be. A glass of real cider or perry represents generations of production dating back hundreds of years. The basics of cider production have remained the same the whole time – simply pick and press the fruit, allow to ferment and enjoy.